We have "liked" many pages and share information not directly tied to the school such as community resources, parenting resources, and student-centered resources. Our Facebook page is updated daily and is the best place for the latest information. Enter the 2015-2016 Reflections Logo Contest! Every year students reflect on a common theme and create original works of art in the categories of dance choreography, film production, literature, music composition, photography and visual arts. The world would be a better place if... was the theme for the 2014-2015 school year. Literature: Rim B, Emily C, and Anna W.
Honorable Mention: Emerald F, Chardae G.
Congratulations to SSMS students who are District-level Reflections winners Anna and Emily. Their Literature pieces are forwarded to the FLPTA/state-level competition. Congratulations to students Zoe for SCCPTA Honorable Mention in Photography and Rim for Honorable Mention in Literature. 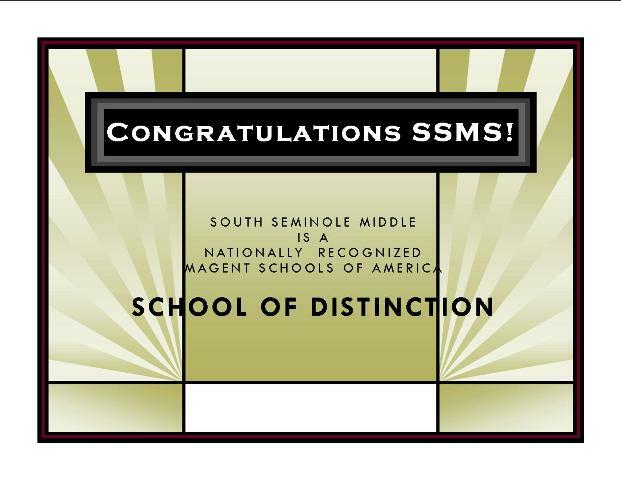 SSMS Hurricanes are taking the world by S.T.O.R.M. ! Our school will utilizes Positive Behavior Support (PBS). South Seminole Middle PTSA was a proud supporter of Arts Alive. Attendees bid on the SSMS PTSA "Let's Go To the Movies" basket during the silent auction. Test anxiety? Unsure just what FSA is? BE PROACTIVE and check out the Florida Standards Assessment website for information about testing, to take practice tests, and learn about policies and materials used during testing. The very mention of Common Core makes many families concerned. Seek First to Understand by checking out the CPALMS website. It has information about the STANDARDS (the WHAT) for our students to learn and the SCPS CURRICULUM (the HOW) which is district and school specific. SSMS needs non-fiction reading material for student use: magazines, newspapers, books...the front office is accepting donations. Thank you for your support! Confirming Substitute Teachers: Help is needed to call substitute teacher, inquire about their availability, and confirm their commitment to working with South Seminole Middle. This task must be done during the school day. 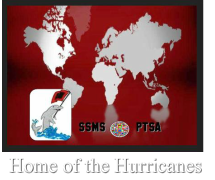 For more information and to offer help please contact Ms. Leenen, Discipline Secretary, at 407-746-1358 or marylin_leenen@scps.k12.fl.us . Mentors, Ongoing: The mentor program is available at ALL Seminole County Public Schools. Adults are needed to offer encouragement, listen, and usually meet once a week with the same student. Training is provided and fingerprinting is required. Mentors are not limited to their home school and may be paired with a student from any school in Seminole County convenient for the Dividend. Register to become a mentor HERE. Take Stock in Children, Ongoing: The mentoring program provides volunteers with the opportunity to make a difference in the life of a student. A mentor is a caring, compassionate adult who chooses to devote their time to a young person, offering them support, guidance and encouragement. mentoring sessions range for 30-60 minutes and occur at a school near your home or workplace, during school hours. The days and times of mentoring sessions are arranged between the mentor and student depending on their individual schedules and classes. Contact Misa Mils, Dividend Coordinator, at (407) 320-0178. RSVP:Ongoing. The Retired Seniors Volunteer Program, or RSVP, works collaboratively with the SCPS Dividends Program; seniors may serve as tutors, volunteer in classroom, and other support positions. Contact Misa Mils, Dividend Coordinator, at (407) 320-0178 for more information! School store: Opportunities are ongoing. A student WITH an adult may volunteer to work a Tuesday or Thursday morning shift (8:45 am - 9:15 am) and earn community service hours. Adult Dividends are also needed to work lunch shifts. Please contact Peri Goldberg at peri@embarqmail.com. Our School Goal is to reach 3,000 Student hours this year!!! Let's get started!